W hat are you praying for and are those prayers being answered? Oh come on, don't tell me you don't pray, we all pray! We all live in hope for things we want to be. We certainly hope for the good life, whatever that means. Some of us pray or hope harder than others. Some of us actually believe in and pray to a Divine Intent that is a part and at play in our lives. We believe that we exist for a reason bigger than ourselves and the One who created us guides us toward that outcome. We have a Gift; talents, and opportunities that lead us to our call; a mission to give and share with others what we have received. We don't have to understand or know all of this to pray; to have hope for the best in our lives and work. You see, I believe that prayer is hope and hope is prayer. The challenge is to hope for the right things. In other words, pray for the right things. Here is where we can find more meaning, joy and purpose; a fulfilled life. 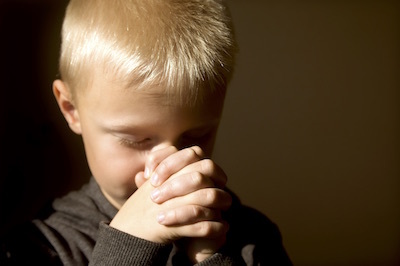 Most of us were never taught how to pray much less what to pray for; how to pray or hope. Most pray for prosperity; they pray for the riches the world has to offer! They pray for things; cars, boats houses, a good job and beautiful friends. They pray for the easier life filled with no complications. When these things are attained, they mistakenly think it was prayer that brought them. If they don't materialize, they think their prayers were not answered or for some reason they don't deserve the good things in life. Do you see the fallacy in this way of thinking? It is human nature to desire the good life, but perhaps as the great philosophers have said, "The good life is not made up of things that go away, but the good life is the result of wisdom applied to what comes your way in life." True prayer begins with giving honor and thanks; seeking humility and wisdom; not seeking things. Wisdom helps us to correctly respond to the things that come our way. Many people I have encountered pray and pray and pray for things, but never understand what is supposed to go along side with what has come their way. Pray for wisdom! Thom share with us how we get deeper into understand ourselves through contemplation.